This post contains references to products from our advertisers. We may receive compensation when you click on links to those products. The content is not provided by the advertiser and any opinions, analyses, reviews or recommendations expressed in this article are those of the author’s alone, and have not been reviewed, approved or otherwise endorsed by any bank, card issuer, airline or hotel chain. Please visit our Advertiser Disclosure to view our partners, and for additional details. Standard credit cards are not secured by any property or deposits that can be repossessed in case of default. Therefore, applicants for these unsecured loans must first be able to show banks a strong credit history. On the other hand, almost any applicant will qualify for a secured credit card. With a secured card, the cardholder must first pay a security deposit that protects the bank against the risk of default. In all other ways, a secured card operates just like a standard credit card. Cardholders receive monthly bills that they must pay on time or incur interest and penalties. At the same time, banks will report payment information to the credit bureaus, allowing cardholders to build their credit history. 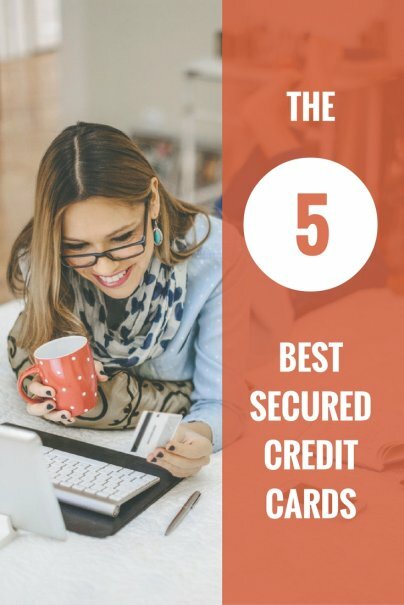 Your first priority in shopping for a secured card will be to stick with a reputable bank and avoid the numerous products with high interest rates and unreasonable fees. Shoppers should look for a card with a low annual fee and perhaps one that might earn interest on their deposit. Finally, applicants should be aware that not all banks guarantee acceptance, so those with outstanding liens or a recent bankruptcy will not qualify for some of these cards. These are some of the top secured credit cards currently available. The Capital One® Secured Mastercard® is the best secured credit card available — sign up now! This is one of the few cards that may extend you a credit line in excess of your deposit. If you make a security deposit of $49, $99, or $200, you will be able to get an initial $200 credit line, based on your creditworthiness. There is a 26.99% variable APR. Like all Capital One cards, there are no foreign transaction fees. This card also comes with benefits like auto rental insurance and travel accident insurance. The best part — there is no annual fee. Click here to learn more and apply for the Capital One® Secured Mastercard® today! The Citi® Secured Mastercard® from our partner Citi is another good option to help you build your credit history if you have limited or no credit. Your credit line is equal to your security deposit; the minimum is $200. In addition to monthly notifications to the credit bureaus, this card can help you stay on track with Auto Pay, online Bill Pay, and alerts. The variable APR is 24.74%* and there is no annual fee. Click here to learn more and apply for the Citi® Secured Mastercard® today! With an 19.64% variable APR and $35 annual fee, the OpenSky® Secured Visa® Credit Card is a strong contender on this list. There's no credit check so you don't need to worry about an inquiry affecting your score, or even getting declined because of it. Choose your credit line as low as $200 up to $3000, secured by a full-refundable security deposit. 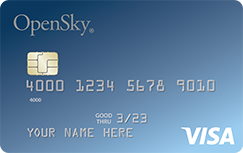 Click here to learn more and apply for the OpenSky® Secured Visa® Credit Card today! 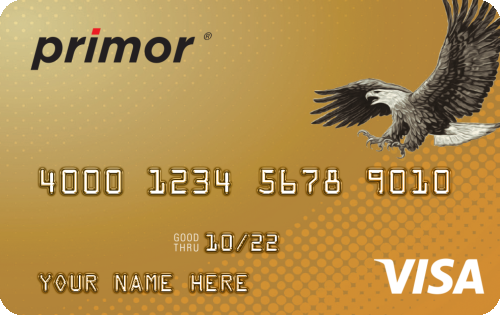 Click here to learn more and apply for the Green Dot primor® Visa® Gold Secured Credit Card. The Capital One® Platinum Credit Card isn't a secured credit card — you don't have to deposit money in order to get credit. It's a standard unsecured credit card that's offered to those with less than stellar credit. You may also get access to a higher credit line if you make your first 5 monthly payments on time. The variable APR is 26.96% with no annual fee, no balance transfer fee, and no foreign transaction fee. 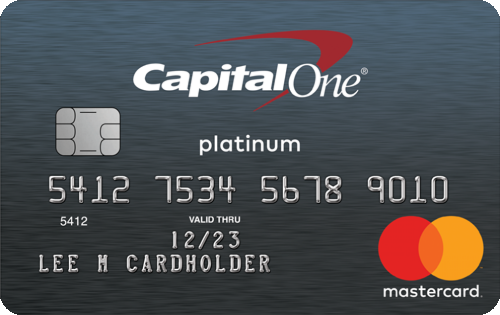 Click here to learn more and apply for the Capital One® Platinum Credit Card today! Are there other ways to re-build credit other than credit cards? You can always piggy bank off someone's account, but other than that, secured credit card is the best way to go. Great information, I didn't know some banks actually had underwriting guidelines for secured credit cards. I was under the assumption that since it's secured by cash, there guidelines would be pretty lax. How long will it take to increase credit line (capital one) ? At CreditSense we help people with their credit recovery. There's a problem with your #1 pick. People who are forced to get a secured card are typically in a credit rebuilding mode. They go secured because they need a card to report positively on their credit. The Orchard card, although they typically report to all three bureaus, have a natural cap on the positive they contribute to a person's credit score. Readers are far better off if they go with a major bank secured card like your #2-#5 picks. I am shopping for a secured credit card right now. Orchard was recommended and sounds great (except for the annual fee). Could you explain further what you mean by "The Orchard card... have a natural cap on the positive the contribute to a person's credit score."? The capital one secured card is a good one. We tend to recommend that one for consumers starting out. It works wonders and will help with your credit later down the road, give it a s hot. I got a secured Capital One card to rebuild my credit. Three years later I called and was going to cancel my card, but they refunded my deposit and change it to an unsecured card....there's still that nagging annual fee though. Capital one will not give you a secured card if you have no history with any if the credit bureaus, so what is the point? Orchard Bank is really fantastic. Deposit is just $200, but the interest is very low, namely 4.74%. It is very atractive. Thank you. How about a debit card instead? My debit card works just fine reserving hotel rooms and rental cars. Plus no debt and no dumb annual fee. Debit cards are fine and I use them as well. Secured credit cards help you on a path to establishing good credit. If you ever want a car loan, house loan, or just save on insurance or make it easier to rent an apartment, or a variety of other uses, then you will want good credit. The other problem with using a debit card is that when renting a car or reserving a hotel, they hold a deposit. Usually from $200 - $500. Since I travel for work, I can't afford to have $1000 held up in deposits that take 2-10 business days to be returned. You can not get a rental car without credit card. No company ever did this when I rented a car. Not sure about large deposits as described below... but I wouldn't want to fork over 500 Dollars, either. Duh, I agree with you as far as not having a problem at hotels or renting a car using only a Debit card. Tyler, yes rental companies let you rent cars with a debit card. I have done this several times with Enterprise and Alamo. The only thing is you may need to provide additional documents, such a plane ticket, etc., and you are good to go. Same goes with hotels, but they will simply put a hold on your debit card as stated above. However, having a secured credit card would certainly cut down on all the additional hassle. They will let you rent a car with the fee upfront and a 250 money order. Did it many times, before I recieved a credit card. You also dont want to have your debit card on file at a rental car company, if you total the car there goes the account, if its a credit account, they have a much harder time getting the money. Most cards also have conditions of insurance when paying with the card. Watch CLARK HOWARD, he'll let you know. You forgot USAA. They're great as well! Maybe next time you make a comment like that you will provide more information. I saw your comment and thought, "Great, I will check them out." Turns out you can ONLY use them if you or your parent served in the military. Well mine did, but I didn't want to put that down (didn't know it was necessary information - just thought they were being nosy). Since I didn't do the form right the first time, I can not go back and edit it after the fact. Now I can't use them without calling in to even try. There was no info on their site that said this, except when you get to the end, if you didn't acknowledge the relationship, then you simply can not apply for the card. "You forgot USAA. They're great as well! Provided you or your parents are veterans and you tell them on the application." I know it doesn't help with the time wasted already, but USAA has they most helpful, easy to talk to, and enjoyable customer service I know. I think you would definitely enjoy the experience on completing anything if you just go through them. Good luck. The CD can start out at $250 and members can add up to $5000 at any time. The best part about this card is that anyone who owns this card is 9.9% APR. (Most companies range between 18.99-22.99) Many companies like Bank of America pull your credit at the time of opening the card and any time you want to add more to the CD to up the limit. USAA never does do a hard hit to members credit when they get a secured credit card. 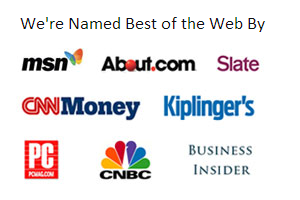 Actually, I think going with USAA is a mistake in this category. The 9.9% APR counts for nothing with a high annual fee no flexibility to reduce your deposit and credit limit, not potential for growth by CLI (without deposit), product conversion, or reward perks. And for the record it does cost you a hard inquiry. Only true regret out of all my credit card applications. There are ways to get into USAA without military affiliation these days, if you really want to put yourself through that. Thanks for the advice. Just read somewhere else that Citi was horrible but I have been banking with them for years with no problems. Will go into a branch and see about a card. Ok im new to this credit card stuff i need good advice and real help i have no credit and looking to build an i dont know who to go with and i heard doing secured is good to start and how much perecntage do i look for? is chase good? As of right now Chase does not offer a secured credit card. I have been banking with chase for over a year and have asked if they had one and it turns out that they dont.. Wells Fargo and Bank of America have some pretty decent secure credit cards that will surely help you to establish a credit history. Angel! I would go with Capital One, with their cards no need to deposit any money up front. Just you will pay the processing fee $49.00. and some cards no processing fee at all. In this article, under "When you should get a secured card ...," Jason states, "obtaining a secured card and making on-time payments is a critical way to rebuild one’s credit." I'd like to know how? Banks don't report secured credit cards to my knowledge so how would any credit bureau know of the favorable experience? Many - though not all - secured cards nowadays do report to all three major credit bureaus. You just have to look for that in the listed features or FAQs and usually it'll turn up. Secured cards are almost always marketed to those with poor or limited credit and promote themselves as a viable way to build positive credit history to rebuild or establish one's credit. It would pretty much be false advertising if they didn't back that up with reporting to the bureaus. I think somebody needs to step up and put a petition in that if they can report bad credit they should also have to report good credit. Its a double edged sword and the credit system has failed more people then help. Companies can report bad credit at a drop of a dime such as the utility companies don't pay and they report you to the credit companies pay them on time for 50 years and they report nothing to your credit........ Seems like a little unfair to the american people if you ask me. My advice to you stick to debit cards if you can't pay cash then don't buy it. Cash is king in my household. Banks do report secured credit cards. In my opinion, what you don't want them to do is report that the card is secured. You want your score to increase as if you were issued a regular credit card. Find cards that don't pull your credit, that you can secure with as low as $250 and higher, and don't charge more that 30% of your credit limit. Do this for at least 6 months with timely payments, and don't carry a balance. Pay the bill in full every month, and you will see your score increase. For stellar credit you should have a mix of credit of at least 3 accounts reporting on time every month. ORCHARD does not follow the rules. After 1 1/2 years of paying on time and more than minimum, they said they would graduate to unsecured. They changed the rules and decided not to. And there isn't anything you can do about it except close the account and get your money back, which defeats the purpose of long time credit. PUBLIC SAVINGS was the best secure card, but they went out of business and absorbed by Capitol Bank. There was low interest rate for paying on time (6%) and no annual fee. I had 2 cards from them at $200 limit each. After Capitol took over, the increased interest rate to 25% and added a $50 annual fee! I ended up closing both accounts. Watch out for Capitol one. Late on one payment and they will hound you, your family and friends to the ends of the earth! Can you recommend any Secured Credit Cards that give you airline miles as well? That's really my only reason for wanting a secured card. Thanks! There is a card by Korean Air that is backed by US Bank and is secured. You will earn Korean Air miles, which can also be used for Delta if you prefer. Does anyone know of a a minimum credit score that is needed to obtain one of these secured credit cards? Thanks. There usually is no minimum credit score needed. Most people who apply for these types of cards have low credit scores to begin with and are trying to create or reestablish their credit history and raise the score. Some banks do, however, have a minimum credit score requirement. My wife has bad credit and we have been thinking of get a secured card... Is that the way to go or should I get her a card on my amex account... Would that help her the same or more???? Could that damage mine???? I'm not sure if your question was answered, but I was reading somewhere that adding someone as an 'authorized user' to your credit card account will improve their credit score. Adding her will not damage your credit score as long as the credit utilization stays low and payments are made on time. Now - if she uses the card and forgets to tell you how much she charged, that could drive your credit utilization up = lower credit score. Even if you pay off your credit card in full each month, getting too close to your credit limit will hurt your score. It's *FREE*(no gimmicks & no cc needed), will show your credit scores, and has tons of articles about how to manage/improve your credit! my bf put me on his credit card as an authorized user. they report to my credit and its helped. getting her a secured credit card will help her too. It could help your wife a great deal, but remember, you both will have positive credit reporting "Provided she is making all payments on Time." That is assuming you currently make your payments as well. It also helps a great deal if you both try not to make charges that are over half of your credit limit. So if your limit is say, $1000.00, try to keep your monthly balance at $500 or less. I would avoid the U.S. Bank card at all costs, unless you have money laying about you wouldn't mind them holding onto. I initially applied about 3 weeks ago. I was sent to a "sorry we cannot approve you at this time" screen. Never received an email, snail mail or even a phone call. After about a week I decided to just up my line of credit with my capitalone card. Which, I absolutely love by the way. Just a few days ago I went to check my bank account, and guess what? USBank took out $300 for a deposit leaving me with overdraft fees. After speaking with tons of representatives who all made me feel like crap, one in particular who told me I shouldn't have "blown my money" and should have left it for their disposal at any time. It was my personal account I use for household items, not my joint account, so keeping an extra $300 for a card I was told I wasn't approved for seemed a tad silly. After speaking with several USBank employees I have been told it isn't their "policy" to communicate with you unless they approve you. And now, for the REAL kicker of the whole thing. They haven't even approved my application. Even with my $300. They are currently still "reviewing" my application to determine whether they will give me a card. And, it gets better. I was told on February 1, 2013 that I will have an answer in about 3 days. On February 6, I was told the same thing. Once they "decide" they will either a. send my money back to my bank if they deny me, which will take 10-14 days or b. assign me a card number and issue a card within 7-14 days, then once I have a card number, THEN I will be mailed, finally, a card to use with my money. So, in 14-28 days I will finally have access to, if I am lucky. To cge1234 - that is the most horrible thing I've ever heard a company do. Thank you for the warning for U.S. Bank. I hope you reported them. I have US bank secured debit card and I agree with you about them "holding your deposit." However, what you failed to mention is you DID NOT read the fine print. According to US BANK, they will hold your money for a few days until the decision is made. If you are approved, they will take money, if not then they will bring it back to you. YOU SHOULD HAVE READ EVERYTHING IN THE FINE PRINT AND YOU SHOULD NOT HAVE APPLIED FOR ANOTHER CARD AFTER IF UNLESS IF YOU HAVE ADDITIONAL EXTRA CASH LAYING AROUND , NOT BEING HELD IN THE BANK. It's amazing how you didn't say anything about local community Banks or Credit Unions in your home town. They will help you in more ways and NOT charge you 20% or more like the Big Banks. They are ripping all of us off in so many ways. Wake up people and stay local in your community and quick supporting the Big Banks. They don't care about you. The issue is those banks don't usually report to the 3 credit bureaus and therefore an improved credit score is likely to take much longer. You've stated that the WF Secured Visa card comes with standard Visa benefits including auto rental insurance. I was told that the WFSV does not cover auto rental insurance. There is your problem right there! Most Bad debts do have an expiration date! It used to be bad debts would be ae obliged to remove automatically removed after 7 years. Since it has changed, I believe now it is 10 years. Here is the drag...all the credit reporting agencies can't be trusted to make sure that is done, therefore it becomes your responsibility to monitor your credit report, then IN WRITING request to that agency to REMOVE those bad debts, and they are obligated to remove and update your credit file. Check, and if it has not been done in 3 months, ride them by MAIL and PHONE until they do! Now remember, with those 13 year old debts, if you made ANY payments to those debts anytime after the initial date it was reported, then you have just RENEWED that debt as of the date that payment was reported. So, if you had a debt reported in 2002, and say in 2010 you decide to make a payment, the debt is renewed starting 2010. You might also want to review the USAA Secured Credit Card for Military Members and their families. This article is not telling the truth. I became ill again due to a long standing recurring illness which is now controlled by will never go away. My credit went bad because I was too sick to pay my bills. I've had an account with Bank of America for years. Their own site says they want to help you rebuild credit, yet I recently applied for a secured card and they denied me one. Other people have had the same problem with Chase as well even though they are customers of Chase. When did Chase start offering a secured CC? I believe they favor above average credit, correct? I agree with the above statement I work for a bank ten years now have multiple accounts with them I may add, had a credit card with them but couldnt keep up with the payments because of a sick child I am currently paying on the card which is at a low balance now and I have been denied twice when I applied for a credit card so in a nut shell doesn't matter what type of relationship you have with them they will deny without hesitation. The Secured Credit Card account will be reviewed for graduation at 12 months. Accounts passing the graduation criteria will be upgraded to an unsecured account. At that that time, notification is sent to advise you that the collateral funds (secured savings) have been released. If the account fails the graduation criteria, the account will be reviewed against specific policy criteria for graduation twice a year." However, there are plenty of secured cards that will approve you, some without a credit check. It just takes a little research. I just canceled my Capital One secured credit card. I got in in January of 2012. So I had it for 22 months. Even after always paying on time ( I also never carried a balance over to the next month ), they still refused to convert it to a regular credit card. So I just canceled it. When I was starting out with credit in 2007, I got the BoA one. After one year, they converted it. I just read that someone below lamented the same thing. Not sure if they do this intentionally so that you keep paying the fee. I also hated the lack of benefits ( NOT rewards. I know those cards don't have any ). But I mean benefits such as purchase protection or rental car protection etc. I did not have any of that. At least Wells Fargo has the rental car protection. Although I must admit I extensively used the card outside the country. So the no foreign transaction fee perk came in handy. I'm trying to figure out which one to get now. Looks like Citibank is out of the question ( no branch anywhere near me ) and BoA is quite expensive for not having any benefits. Does all 5 suggested credit cards report to the 3 bureau monthly? I need to rebuild my credit so bad. Ive had a secured card with Applied Bank for over a year now. It works fine, interest rate is very low 9% I believe, however they strangely only report to Transunion and Experian. They do not report to Equifax which is considered probably the most important and widely used of the three. Ive been wanting someone to answer why in the world would they choose to report to 2 and not all three.? Anyone out there know.? It's surprising to see none of the cards with no annual fee (Harley Davidson, DCU secured & nRewards secured) not making this list. Especially the HD card since it's backed by US bank. 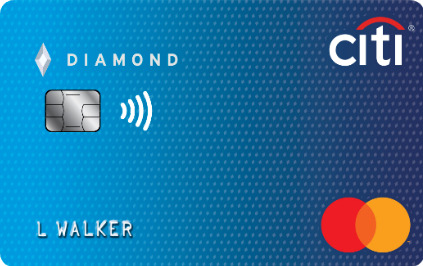 Also, for those who end up getting the BankAmericard, you can call up and request to be added to their cash rewards program (1-3% cash back) which makes it one of the best secured cards in my opinion. I had an excellent experience with the Capital One Secured Mastercard. I deposited 50 dollars and was given a limit of 200. Every month I made one charge of 20-25 dollars (to keep a low debt-to-limit ratio) and then put the card in a drawer. They allow you to enroll in their CreditInform credit monitoring service as a free bonus to track your score. By 6 months my score had sky-rocketed from 0 (no score) to 720. I was able to qualify for my first unsecured card, and cancel the secured card before I was required to pay the annual fee. Less than 2 years later I have 4 premium rewards cards, like the Amex Blue Cash Everyday, and Chase Freedom. This is a very easy way to build your credit quickly. I applied for a Wells Fargo card based upon what you indicated above. I was denied even though I met the stated criteria. The reason: I had a Wells Fargo mortgage with my now-ex husband, that was foreclosed several years prior. I am astounded that at the top of your list is the worst offender of abuse to consumers - Capital One. While they run parallel to Bank of America credit card in terms of tactics used to incur fees, they exceed Bank America tactics by making sure you stay with their brand or suffer stiff abuse to your credit rating strictly because you no longer want to do business with them. I was so bummed out when they took over my Sears account and I told them so. They made me reapply for my card which I have had for 35 years and then denied it. I am 73 years old and have a fixed income and always paid my bills on time. Would you do business with them at 22.3% interest rate and don't mind the record of abuse (*which remains anonymous). How about a consumer rating for credit card companies? Capital one never give you the money back. you have to cancel the secured credit card to get the deposit back and that will destroy the credit again. So what is the deal with them??? I have the Capital One secured card and was under the impression I would get my 2k deposit back after a year of good standing but you will not receive it back unless you close your account. Whats the point of building a credit history if you have to close your account to get your deposit back. I was really thrown off by this and am now looking for another card to apply for. Disappointed with Capital One bank. My credit took a beating a couple years ago and now i'm in a process of rebuilding it. I do have an account in collection and know that my score is less than desirable right now. That's why i turned to a secured card. I went to my bank, Capital One, where i've had an account for many years. I sat down with a branch representative and told her that my score is low right now. She should have advised me not to apply if the bank has credit score standards for secured cards. I was declined for their secured card. This beats a point of having a secured card where i'm prepaying in advance while repairing my credit. I was very disappointed by their action and it just lowered my credit score even more. Can anyone recommend a secured card that will take me with a low credit score so i can rebuild my credit? Secured credit cards are really the best way to establish credit or rebuild bad credit. I have a Discover It Secured card in the mail to me right now. No annual fee. The exact same rewards program, monthly FICO, customer service and protection as the unsecured Discover It card. It converts to an unsecured card after 12 months of good payment history with a full refund of the security deposit. It is, without a doubt, the best secured card offer I've ever seen. It isn't automatically available, you have to apply for a Discover It card first and if they deny they may counter-offer with the secured card but if that happens, it is an in with an unbranded Discover card. Help! Are there any good secured credit cards out there that you can get with a recent bankruptcy (within last 2 years) and poor credit? USAA Secured Card is also great if you are or can qualify to be a member. You open a CD in a minimum of 250.00 and this secures your credit card. Hi, will I be able to rent a car with a secured credit card? The most important information is not provided: how is a secured card funded? personal check, cashier check, money order? What about Discover It secured card? They offer cash back on purchases, match your cash back for the first year, credit increase available after the first six months of on-time payments, and you can upgrade to a regular card after a year. My family travels the globe using credit card rewards. Ask me how!